Click here for Redmond’s video commentary, hosted by the AGA E-Journal’s Chris Garlock, and see below for the sgf commentary. To support this content, please consider joining or renewing your membership in the American Go Association; click here for details. 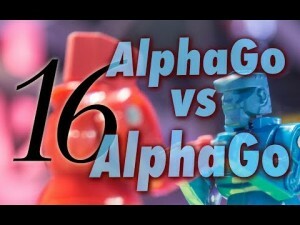 Video produced by Michael Wanek and Andrew Jackson. The sgf files were created by Redmond, with editing and transcription by Garlock and Myron Souris. Murakawa to challenge for Judan: The play-off to decide the challenger for the 56th Judan title was held at the Kansai Ki-in in Osaka on January 25. Murakawa Daisuke 8P (right) of the Kansai Kiin, playing white, beat Shida Tatsuya 7P of the Nagoya branch of the Nihon Ki-in by resignation. 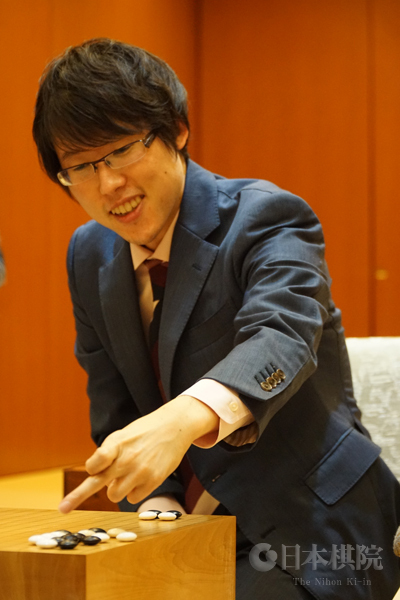 Murakawa, who won the 62nd Oza title in 2014, will make his first challenge for the Judan title. Shida missed his chance to make his first top-seven title challenge. The best-of-five with Iyama Yuta will start on March 6. Iyama defends Kisei title: The second game of the 42nd Kisei title match was held at the Hachinohe Hotel in Hachinohe City, Aomori Prefecture, on January 25 and 26. After a solid opening, a difficult fight started. Unlike the first game, in which Ichiriki had some chances, Iyama (left), playing black, kept the initiative throughout and secured a resignation after 171 moves. This win may have been a little disheartening for Ichiriki, who had now lost 11 games in a row to Iyama (all title games, including the NHK Cup final). The third game was held at the Olive Bay Hotel in Nishiumi City, Nagasaki Prefecture, on January 31 and February 1. The venue is a little unusual: it is a luxury hotel that was originally built as a guest house for the Oshima Shipbuilding Group and is located right next to a shipbuilding yard. This game was marked by complicated fighting among multiple unstable groups that spread from the top through the centre to the bottom. Perhaps the key move was a brilliant sabaki (settling a group) move with which Iyama (white) foiled a fierce attack by Ichiriki (below right); this led to a counterattack by Iyama. In the desperate fighting that followed, Iyama’s sharper play enabled him to seize the initiative. Ichiriki resigned after White 238. He now faced his first kadoban (a game that can lose a series). The usual pattern in a best-of-seven is to alternate breaks of one week and two weeks. So far, however, in this match games were being played once a week. The reason was to free up some time for both players to represent Japan in international tournaments (see reports below). Both players failed in these tournaments, so as far as psychological aftereffects were concerned, conditions were perhaps even. The fourth game was played at the Ofunato Citizens Culture Hall in Ofunato City, Iwate Prefecture, on February 15 and 16. Once again, Ichiriki (white) was unable to get an advantage in the middle game, so he staked the game on a large-scale counterstrategy. However, Iyama calmly parried his attack, even letting him bring a dead group back to life, since he could secure a safe territorial lead anyway. Ichiriki continued to go all out, but his play was unreasonable and he had to resign after Iyama killed a large group. This was a very disappointing series for Ichiriki. In his first title match with Iyama, the 42nd Tengen at the end of 2016, he had at least won a game, but now he had been shut out in three successive title matches. Becoming challenger for three titles in a row is actually an impressive achievement, but it sets you up for some rough treatment at the hands of the grand slam champion. For Iyama, this was his sixth Kisei title in a row, the second-best run in this title after Kobayashi Koichi (who won the 10th to 17th titles). He had now maintained his grand slam for four months (since winning back the Meiijin title on October 17 last year). This is his 49th title, which puts him in sole fourth place, behind Cho Chikun (74), Sakata Eio (64), and Kobayashi Koichi (60). He is also sitting on a winning streak of 14 games in title matches, so he may challenge his personal record of 18 successive title-match wins. The Kisei prize is 45 million yen (about $416,000). The age of Iyama continues. Ueno wins Women’s Ki sei: The second game of the 21st DoCoMo Cup Women’s Kisei best-of-three title match was held in the Ryusei studio at the Nihon Ki-in on January 29. Taking black, Ueno Asami 2D, the challenger, forced Xie Yimin to resign after 253 moves. This was her second win, so she dethroned the champion and won her first title at the age of 16 years three months. This set a new record in this title, beating Xie’s 20 years two months, but not threatening the overall record for women’s titles—Fujisawa Rina’s winning the Women’s Aizu Central Hospital Cup (now called the Hollyhock Cup) at 15 years nine months. Ueno’s prize is 5,000,000 yen (about $46,000). Yashiro to challenge for Women’s Meijin title: The play-off to decide the challenger to Fujisawa Rina for the 30th Women’s Honinbo title was held at the Nihon Ki-in in Tokyo on February 1. Playing white, Yashiro Kumiko 6P (left) beat Izawa Akino 4P by resignation after 200 moves. Yashiro, who is 41, will be making her first challenge for this title. 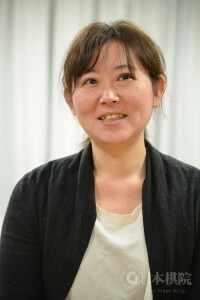 She won the 24th and 25th Women’s Honinbo Titles in 2005 and 2006. 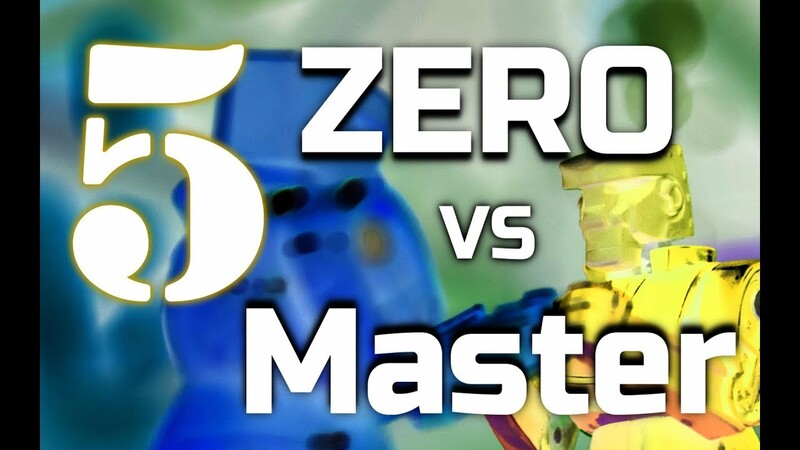 The best-of-five match starts on February 28. Michael Redmond’s video game commentaries return with an exciting game by Redmond against Kuwabara Shun 1P in the second round of the Kisei First Tournament. “We get into the avalance joseki and Kuwabara springs a new variation on me and then it gets really messy in the middle game,” says Redmond, hosted by Chris Garlock of the AGA E-Journal. It’s a human-human game, “So there are mistakes,” Redmond laughs. “It’s pretty exciting.” Click here for the video. 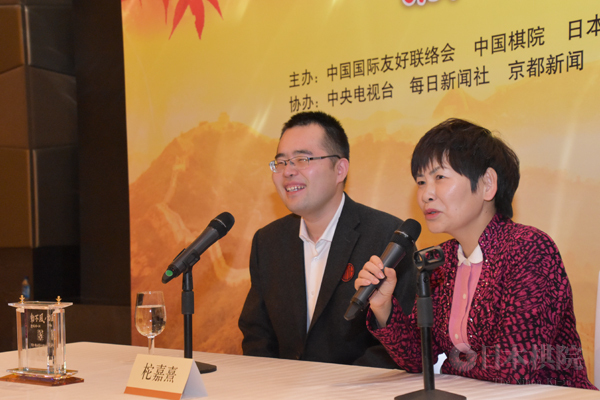 Ueno to challenge for Women’s Kisei: A fresh face will be challenging Xie Yimin for the 21st Women’s Kisei title early next year. The play-off to decide the challenger was held in the Ryusei TV studio located in the basement of the Nihon Ki-in headquarters in Tokyo on December 11. 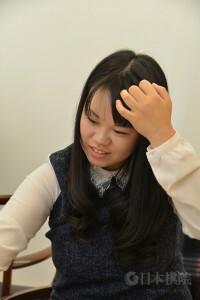 Ueno Asami 1P (right), who is aged 16 and who qualified as a pro last year, beat Okuda Aya 3P (left); Ueno had black and secured a resignation after 199 moves. She will be just 16 years two months when the title match starts on January 19 and will be the youngest challenger ever. She lowered the record of Nyu Eiko, set last year, by about a year. 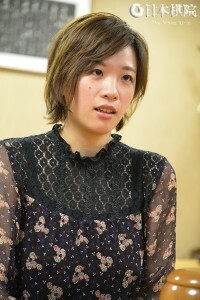 Awards for Iyama and Habu: A government spokesman announced last week that the Prime Minister, Abe Shinzo, was considering giving People’s Honor Awards to the top go and shogi players Iyama Yuta and Habu Yoshiharu. Going by the timing, it would seem the idea was sparked by a recent achievement of Habu. 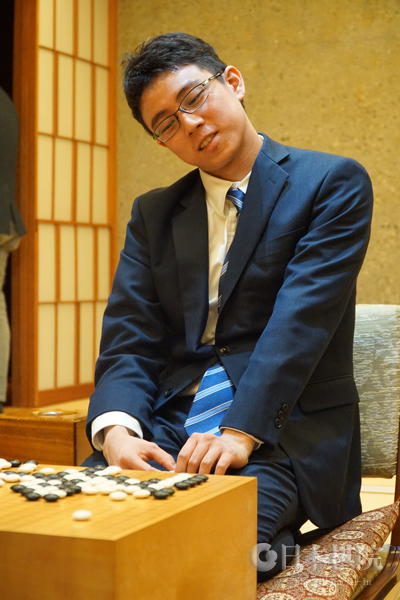 Earlier this month, he won the Ryuo tournament for the seventh time and so qualified for the title of Eternal Ryuo　(also translated as “Lifetime Ryuo”). The wording sounds grander, but this seems to be the equivalent of the “honorary” titles in go. 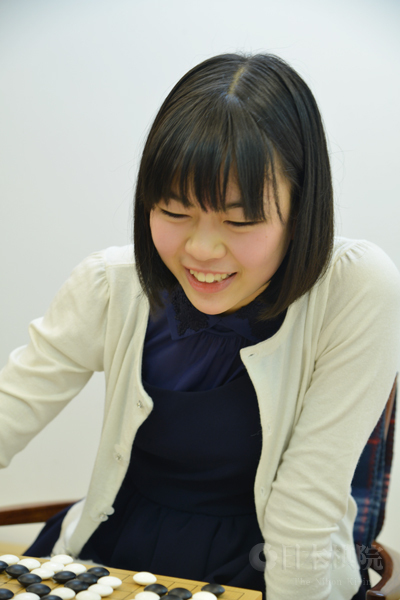 The point was that Habu has qualified for the “eternal” title in all of the top seven shogi titles, an unprecedented feat. The reason for also giving a People’s Honor Award to Iyama was his success in achieving a grand slam of the top seven go titles for the second time. World Go Championship 2018: The Nihon Ki-in has announced that this tournament will be held in March next year. 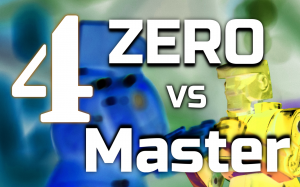 It’s actually the second time: the 1st World Go Championship was held in March last year, but the next one is not being called the “2nd.” Last year, four “players” took part, one of them being the AI program DeepZenGo. First place was taken by Park Junghwan of Korea, 2nd by Mi Yuting of China, 3rd by DeepZenGo, and 4th by Iyama Yuta. Next year, six players will take part: two from Japan, two from Korea, one from China, and one from Chinese Taipei. Note that Korea is not being favored over China. As host country, Japan gets two slots (the host country gets more seats in many international tournaments); Korea gets two because the previous winner, Park, is seeded (as in the TV Asia tournament). The other participants will be: Iyama Yuta and the winner of a qualifying tournament open to the top four place-getters (after Iyama) in the prize-money rankings for Japan; Shin Jinseo 8P for Korea; Ke Jie for China; and Wang Yuanjun 8P for Chinese Taipei. The time allowance will be three hours per player, with the last five minutes being allotted to byo-yomi. Games will start at 10:30 a.m. and there will be no break for lunch. Prizes are: 1st, \20,0000,000 (about $182,000); 2nd, \5,000,000; 3rd & 4th, \2,50,000; 5th & 6th, \1,000,000. Park and Iyama will be seeded into the second round. Tuo of China wins Agon Kiriyama Cup play-off: The 19th Agon Kiriyama Cup Japan-China Play-off was held at the Westin Hotel in Beijing on December 6. Tuo Jiaxi 9P (aged 26, below left) of China beat Mutsuura Yuta 7P (aged 18, at left in photo at right) of Japan. Tuo had black and secured a resignation after 135 moves. This was China’s 1th win in this series (Japan won the first four and Iyama Yuta won the 17th play-off). 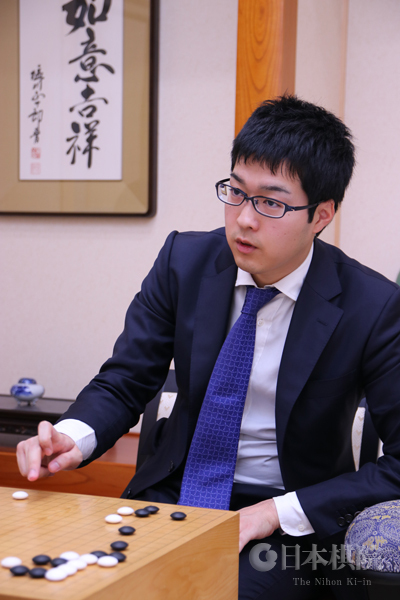 Meijin League starts: The first two games of the 43rd Meijin League were played on December 7 and were won by two former Meijins. Cho U 9P (B) beat Hane Naoki 9P by resig. and Yamashita Keigo 9P beat Yo Seiki 7P, also by resig. 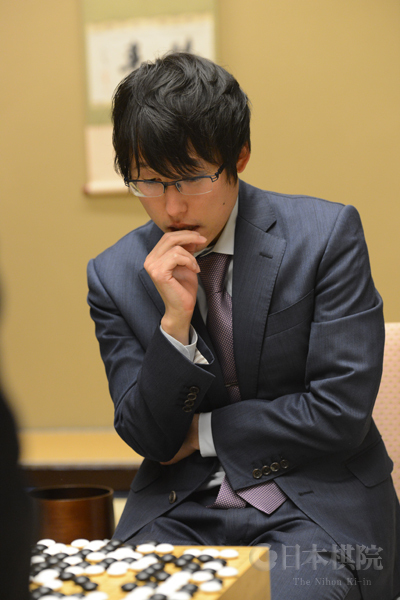 Another former Meijin won the third game, played on Dec. 14: Takao Shinji 9P (B) beat Ko Iso 8P by resig. 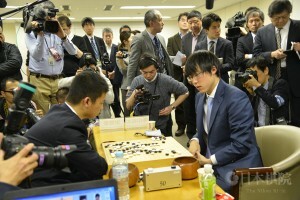 Honinbo League: The second game in the third round of the 73rd Honinbo League was played on December 7. Ko Iso 8P (W) beat Kobayashi Satoru 9P by half a point. One more game was played on December 14. Ida Atsushi 8P (B) beat Motoki Katsuya 8P by resig. On 3-0 Ida retains the sole lead; Ko is now 2-1, and Motoki and Kobayashi are 1-2. 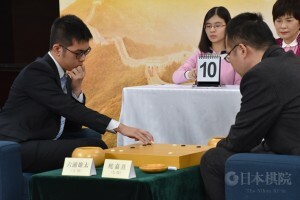 Chinese program wins computer go tournament: A new tournament for computer go programs, the AI Ryusei Tournament, got off to a start on December 9 and 10. It was held in the UDX Building in front of Akihabara station in Tokyo. Seventeen programs, including four from overseas, took part, with the Igo & Shogi Channel acting as the main sponsor. The tournament is a successor to the UEC Cup, held for ten years by the University of Electro-Communications of Chofu City in Tokyo. FineArt of China, regarded as the favorite as the last winner of the UEC Cup, and DeepZenGo of Japan made the final. Playing white, FineArt won by resignation after 248 moves. It has been developed by the Tencent corporation. Note: The video commentary team will be taking a break over the holidays to rest up, recharge and work on plans for 2018. Watch for a 2017 recap interview coming soon and more updates and videos in the New Year!